20-year old British-Mauritian Helena Desmarais is the newest beauty queen in Mauritius after winning the title Miss Supranational Mauritius 2015 last October 10 at the magnificent Indira Gandhi Cultural Center. 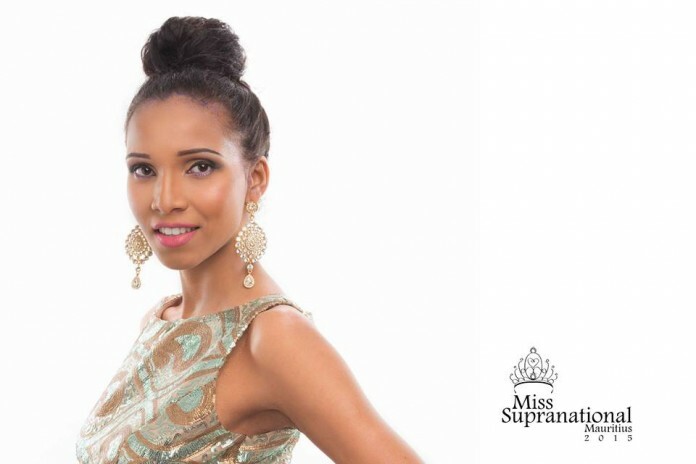 Missosology was fortunate enough to secure the exclusive interview with the newest hope of Mauritius in international beauty pageant before her biggest battle in Poland this coming December. MISSOSOLOGY: What is breakfast like for Helena? M: How do you keep your stunning figure? HELENA: Again, being honest, I’ve never followed any specific diet but I’ve recently realized that I need to watch what I eat, not to be thin but to be healthy. Indulgences are a most though. And 5 a day essential. M: Any beauty tips for aspiring beauty queens out there? HELENA: Beauty tips are too varied and in vastness so I recommend cleanse, exfoliate and moisturize. Never thought it would be important but 3 minutes morning and night doesn’t hurt. Light foundation, eyeliner and pink lipstick is my everyday make up. M: What is the most difficult thing you did to prepare for the Miss Supranational pageant? Why did you do that? HELENA: National costume was really hard for me because I had too many various and sometimes off-task ideas, that I couldn’t focus on one. Hence, why I didn’t win best costume (laugh). M: Describe your fashion sense & style. HELENA: Don’t really have a particular style but my sister normally says that it’s not common (laugh). I’m really simple so jeans and vest are my best friends. M: What has been the biggest disappointment in your life & how did you deal with it? HELENA: The death of daddy definitely lowest point of my life. He was everything to me and we were really close. For a while it had a really negative impact on my life and I still can’t accept his passing. This beauty contest is the first time that I’ve felt fully alive again since losing him. He encouraged me in everything I’ve done, even if I had no chance (laugh). I know his happy and proud. M: Tell us about your mantra or secret to success. HELENA: Only one mantra to success is being true to oneself. I know its cliché but it’s true. I also believe in fair play. Competition is important but I don’t think you should step over others to advance. Plus, never have any regrets. MISSOSOLOGY: How would you describe Mauritius to your fellow contestants? HELENA: You can’t really describe Mauritius which is what makes it unique. It’s colorful and diverse in culture, food, people and every other aspect of life. Being in Mauritius is a truly mind blowing experiences and kind of intriguing when delving into the unknown. M: Some people think that beauty pageants like Miss Supranational are degrading to women. Convince them that they are wrong. HELENA: I understand how some people could see beauty pageants as degrading but women are no longer just objects that are glorified superficially and I feel that beauty contests are now acknowledging that. Take Miss Supranational, we are not just parading on stage. We work creatively for own costumes and talent show, we contribute our time to the autism charity and we show that women are independent, talented and are individually amazing. M: Who is your all-time favorite beauty queen, why? HELENA: The reigning Miss Supranational Asha Bhat and my predecessor Kelly Celine just for the simple reason that I met them and got to know them and realize there down to earth like me. Their beauty of course goes without saying. Sorry Kelly for taking your crown and Asha, I have yours in sight (laugh). 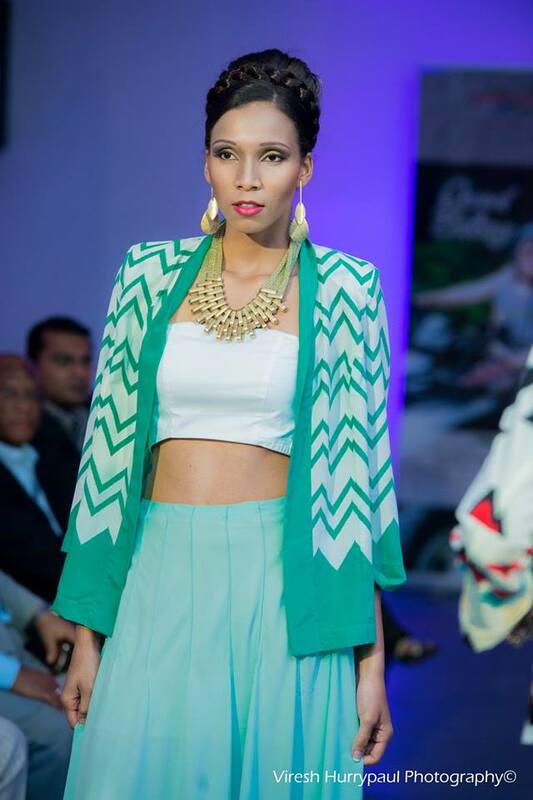 Goodluck to Helena as she tries to capture the first international beauty crown for Mauritius!